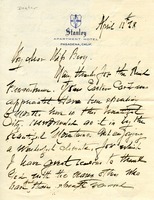 Letter written in pseudo-calligraphic hand on letterhead from the Stanley Apartment Hotel in Pasadena, CA. 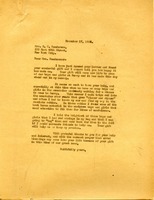 A letter from Martha Berry explaining to Lydia M. Folger the good that her donation will do for the Berry Schools. Berry also mentions the fact that she is not strong enough to travel. 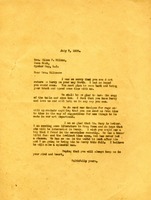 Martha Berry writes to George Hills thanking him for his donation that will allow one country boy or girl to attend Berry for one year.